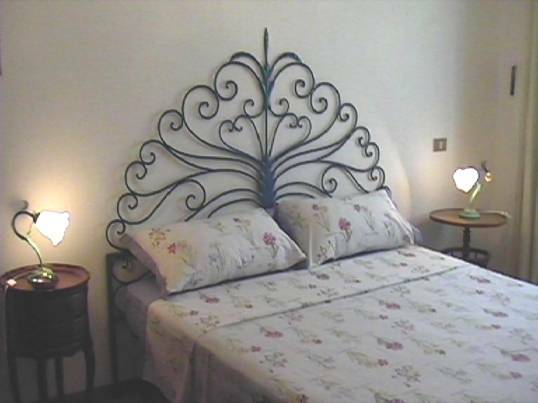 B&B Happy Goose is situated in a quiet residential district of the "Montesacro Alto" area and is easily reached by public transport. 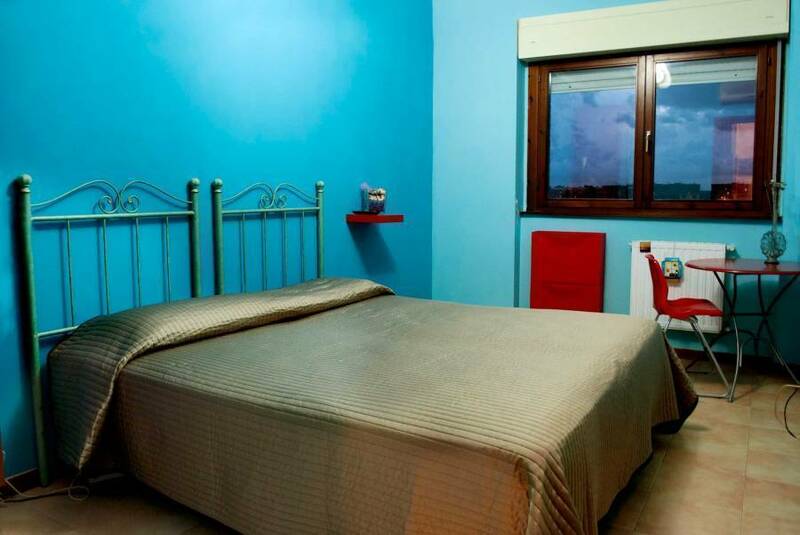 B&B is well connected with historical center of Rome, with the airports and the Termini railway station. It can comfortably be reached by car. Private car park and an elevator are available for the guests. The rooms are bright (supplied with airconditioning), pleasant and comfortable; they overlook a big garden, away from the noisy city traffic. A balcony, with comfortable armchairs, offers the possibility to rest after a strenuous day of walking around in Rome admiring its beauties. 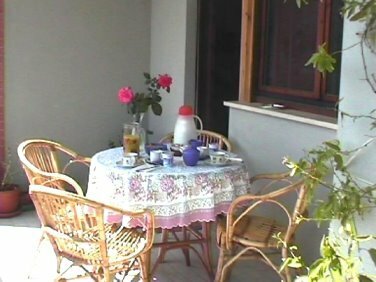 A rich continental breakfast is served in the dining room or on the balcony when the weather is fine. Maps and guide books of Rome are at the guest disposal. The owner, Ilaria, stayed for some years in London. She adores travelling and is very fond of motor-biking and photography. 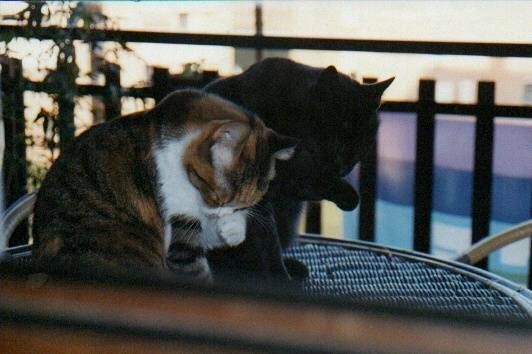 Two cheerful kittens, Indy and Kaly, keep her company in the apartment. A bus (the stop is only a few yards away) will take the guests to the historical center (e. g. Piazza del Popolo, Piazza Venezia, Spanish steps, Colosseum and Trevi Fountain). When coming back from your tours in the busy center of Rome, you can relax in the balcony or in the garden. in case of no show: 100% of the total amount. Via G. Forzano, 20 - int. 15 Voso Ilaria B&B Happy Goose. BY CAR: Leave the GRA (Grande Raccordo Anulare) at exit Bufalotta (is a new escape that finds between escapes 10 and 11). Follow the road signs "Via della Bufalotta" "Via di Settebagni". Pass in front of the IKEA and turn left in Via di Settebagni until the traffic light and turn right in Via della Bufalotta. Drive for 500 meters and turn right at Via Cesare Zavattini, at the round about turn left and then first on your right is Via G. Forzano; after 30 meters turn right into a private road up to number 20. Train "Leonardo Express" to Termini Station. Then bus 86.
from Termini Station: Bus 86 at platform N in Piazza dei Cinquecento (the square in front of the station). When the bus will be in Via della Bufalotta, you will see a big wather tank, like a mushroom. Here the bus will turn left, then turn right in Via Antamoro. You get off there, in front of the bank. Cross the road and enter in Via Forzano. After 30 meters on right is a little private road. At the end is nr 20. Nearest airport: Fiumicino Leonardo da Vinci e Ciampino ( 30 km). On request we can arrange a transfer by a limo service from airport to B&B.